The Catholic school under investigation by the Charity Commission in relation to allegations of child abuse has published a safeguarding charter in which it pledges to reverse its "historical culture of secrecy". 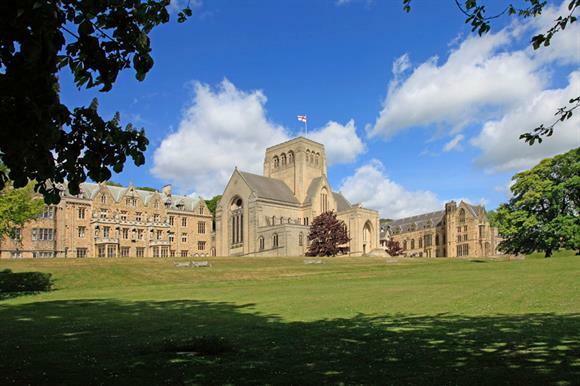 The commission opened a statutory inquiry into the St Laurence Education Trust, which runs Ampleforth College in North Yorkshire, in 2016 after former pupils told the Independent Inquiry into Child Sexual Abuse they had been abused by priests at the school. Earlier this year the commission appointed Emma Moody, a partner of the Newcastle law firm Womble Bond Dickinson, as interim manager to run the charity. In August, a report by the child sexual abuse charity found there had been a "culture of acceptance of abusive behaviour" at the school over a period of 40 years. In response to the report, Ampleforth accepted responsibility for past failings and said it was working with Moody to develop a safeguarding charter, which it hoped would become recognised as best practice for safeguarding in education. The charter says Ampleforth will put keeping people safe at the heart of everything the charity does and ensure that safeguarding structures and processes are clear, simple and transparent. The charter says the school will work to ensure that "a historical culture of secrecy is reversed, and the open and honest approach supports a more effective working relationship, which is rooted in partnership". In a statement accompanying the charter, the charity said the document was underpinned by "an accelerated programme of governance reform". The statement said: "Trustees of the St Laurence Education Trust are pressing ahead with an overhaul of board structures to ensure the highest standards of accountability and transparency. The trust has had a lay chair since 2016 and its constitution ensures that lay members are always in the majority, representing a broad diversity of skills and experience in order to provide the best strategic leadership and oversight for the future of the college." Moody will continue as interim manager of the charity for the next six months, according to the statement, to monitor the organisation’s progress. She said: "Ampleforth has already implemented significant improvements to the way safeguarding is reviewed and managed, and I have reported my confidence in the current safeguarding system to the Charity Commission. "Everyone who I am working with at the college is wholly committed to protecting the children in their care."